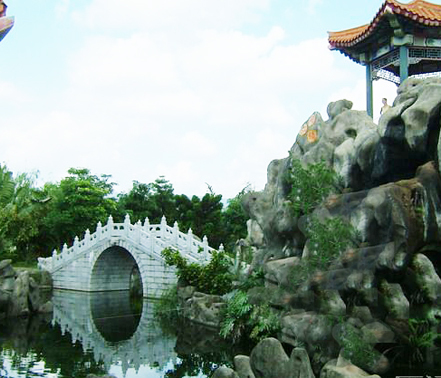 Yuanboyuan Garden, located at Xinglin Gulf, Jimei, Xiamen, is an area of 6.76 square kilometres. Since its opening in September 2007, it has been popular with locals as well as visitors from other cities, and recently it has been awarded as AAAA scenic spot. It is considered to be "a garden on the water, and the water in the garden". The whole of Yuanboyuan is composed of 9 theme gardens, each one representing the characteristic of the gardens in different areas. All the gardens are on separated isles and connected by bridges. There is Garden in South China style, Garden in modern style, Garden in North China style, International Garden, Garden in Lingnan style, Garden in nature, the public garden, Garden of ethnic customs, and Mintai Isle. It will take all day long for you to appreciate all the gardens earnestly. Even in the evening, Yuanboyuan represents all visitors a different and even more beautiful night scene by the colorful LED lighting. When passing by Yuanboyuan in the evening, one can be attracted by the view of " A Rise Bright Moon at the Sea" from afar. 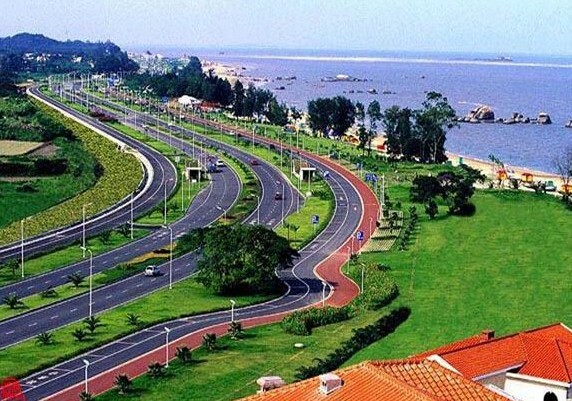 The construction of Yuanboyuan is well designed. Many buildings represent the feature of Xiamen and even other areas. Even at the beginning of your trip you will see the gate of the garden is designed to be two egrets spreading the wings (egret is the city bird of Xiamen). As one enters the garden, you may be easily impressed by the beautiful and magnificent landscape of the garden. When visiting there you can go by either walking or taking a sightseeing bus to appreciate the beauty of the garden. However, visiting by foot is more enjoyable. It sits in the middle of Yuanboyuan. With an area of 9.3 hectares, it contains the South style garden landscapes of 10 cities: Suzhou garden, Ningbo garden, Nanjing garden, and others. 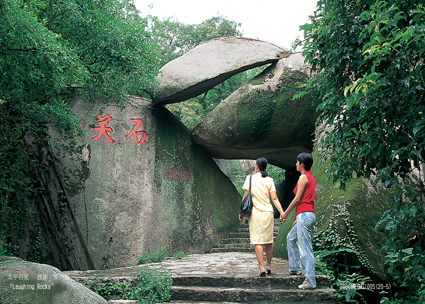 The unique and classic characteristic of the garden in South China is shown by the rocks, pavilions, pools, and bridges. Taking an area of 3.9 hectares, this garden consists of gardens of 9 cities: Shanghai, Chongqing, Dalian, Macao, Hongkong, Qingdao, Yantai, Hefei, and Weihai. All of them are representative of the modern city. They are rich in historical culture and are famous for their opening to the outside world. 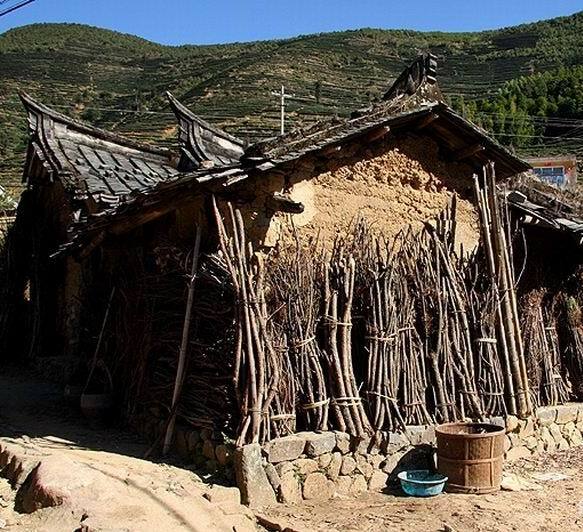 The garden shows the typical characteristic of the garden in North China. 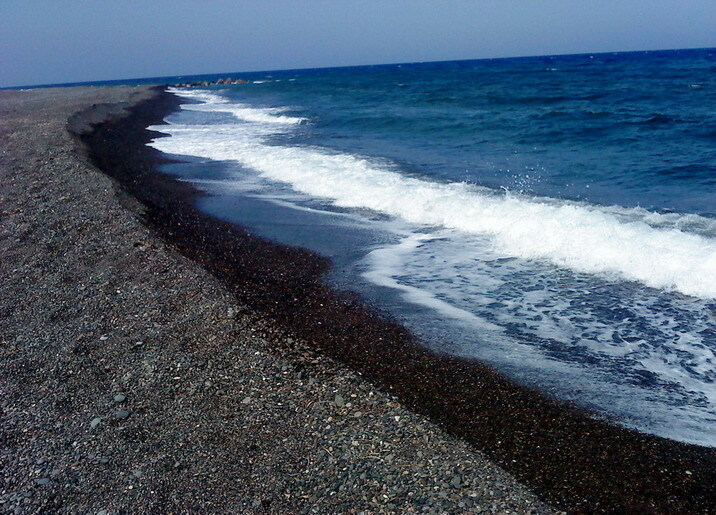 Located in the north of Yuanboyuan, it takes an area of 5.1 hectares. There is Peking garden, Tianjing garden, Xi'an garden, and others. All the gardens there display a grand, mature, and steady feature of the imperial garden. 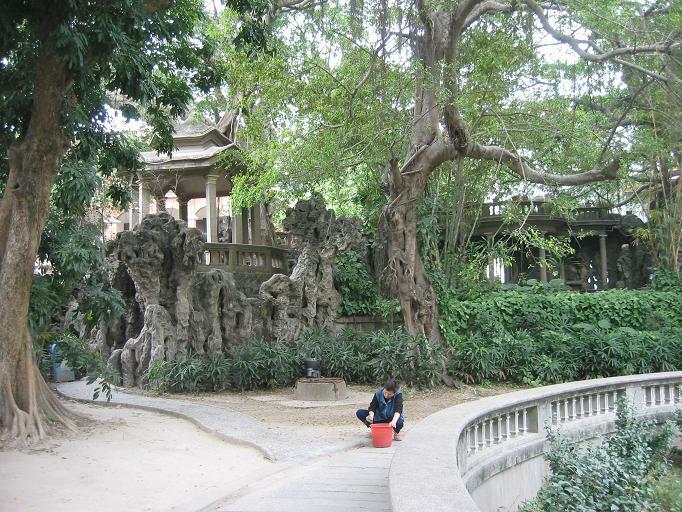 With an area of 16 hectares, Mintai Garden is considered the most special part of Yuanboyuan. The isle of Mintai garden is located in the north part of Yuanboyuan. 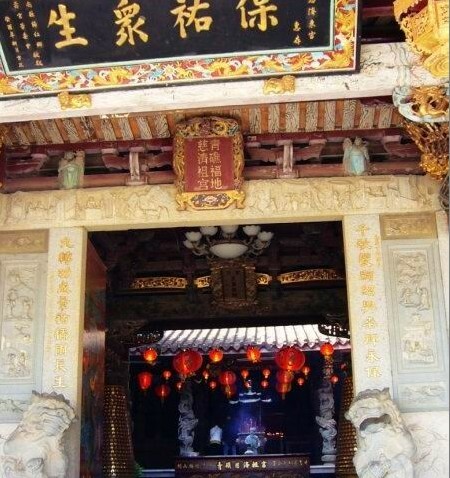 There are the feature's of the cities in Fujian, Kinmen, and Taiwan which are the arcade of Minnan feature, the replica of ancient Minnan local houses, other elements of Kinmen culture, and more. 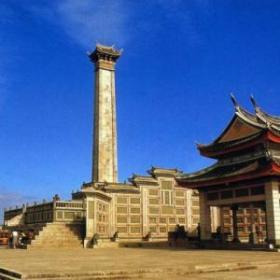 The landmark building in Mintai garden is Xinglinge Tower and it is also the landmark building of Yuanboyuan. 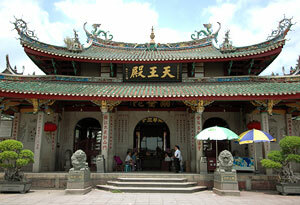 It is a octagonal building of 56.8 metres high. In Xinlinge, there are bronze statues of the great people in Fujian. 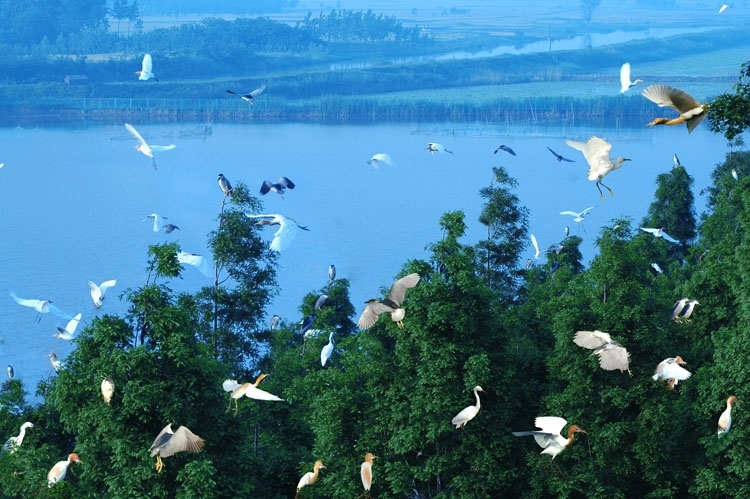 Moreover, getting onto the observation balcony, one can get a bird's-eye view of the whole beauty of Yuanboyuan. The garden is composed of the landmark buildings from all over the world totally 24 buildings from other countries. It takes an area of 4.4 hectares. There is the Merlion statue of Singapore, Sphinx of Egypt, Windmill of Holland, and much more. 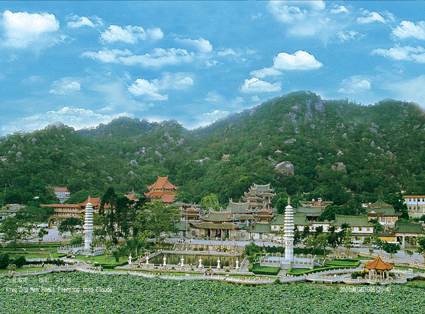 This garden has garden landscapes from 4 cities in Lingnan area ( The so called Lingnan is the south of the Five Ridges, such as Canton, Guangxi, and other cities.). The special architectural feature of Lingnan is shown by the blue bricks and grey tiles. Also, another typical characteristic of the Lingnan garden is the subtropical plants. The garden takes an area of 3.4 hectares and is reflecting the ethnic features of the minority nationality in China such as Lhasa, Hohhot, Lanzhoo, and more. This shows visitors the ethnic diversity of China. Also, Yuanboyuan is equipped with complete ancillary facilities such as restaurants and quest accommodation's. Therefore, one can rather call it a tourist resort than call it a scenic spot.